New Orleans Hornets center, Chris Kaman, who I’d be absolutely terrified to meet in real life, had a little message for upcoming opponent Charlotte yesterday on his Twitter feed. Yes, that’s a dead Bobcat. No, the Hornets lost 73-71. 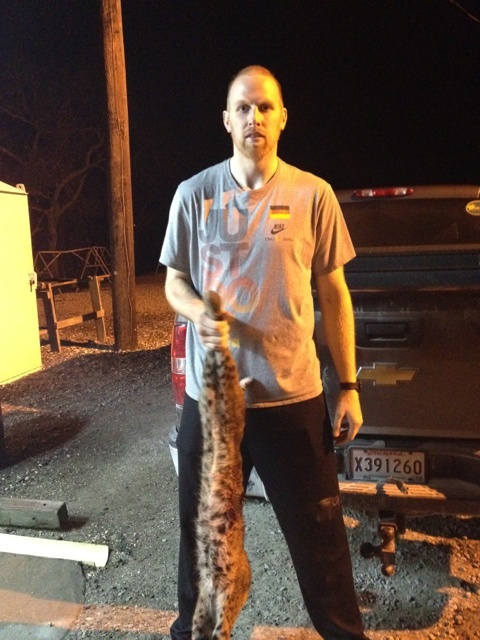 How embarrassing is it for Kaman that he killed that bobcat for nothing? Now he’s going to have make soup or a scarf out of it. This isn’t the first time the big man has shown his disdain for a foe. Before a recent game against the Jazz, Kaman destroyed a saxophone and I’ll never forget when he tore up a brand-new pair of pants in anticipation of a matchup against the Knicks. Just don’t ask what he does when he’s about to play the Celtics.